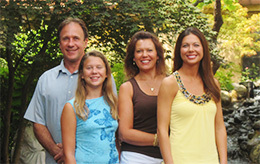 Dr. Tom Voyda and his family. He graduated in 1996 and is now a proud Chiropractor in Dunwoody, still inspired and helping people find hope! Dr. Voyda believes a balanced lifestyle should include Chiropractic Care, proper nutrition and exercise. Whenever Dr. Voyda’s not adjusting people, he loves to take walks in the woods with his wife and two daughters. 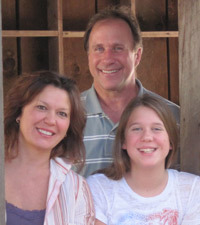 His wife and eldest daughter both serve the medical world. And, he loves exploring the world with them. Once people witness its positive outcome; they perceive it in a different manner. I feel it is my duty to spread this message so that everyone can experience how good health feels! Call our office and setup a time to speak to Dr. Voyda, he’s here and he’s ready to listen!